Stephen is a professional woodwind doubler born and raised in Southern California. He has 13 years of playing experience, in which time he has studied extensively with woodwind specialists in the LA area such as Bruce Babad, Kevin Garren, and Rob Lockart. 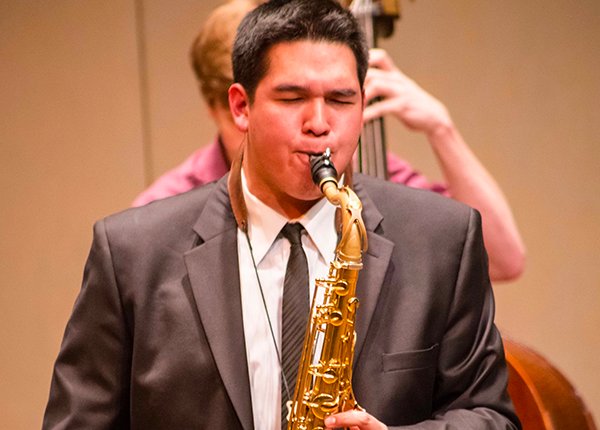 He has recently graduated from the prestigious jazz studies program at California State University of Northridge. He has been playing professionally and teaching for the past 8 years. He has had the pleasure of performing in all styles of bands (jazz, blues, hip-hop, rock, and more) in venues all across Southern California, as well as recording for various projects. One of which was in collaboration with composer Austin Wintory, who composed the award winning music for the game Journey. Stephen believes in creating a strong base of fundamentals for his students, reinforcing good technique and understanding basic music theory so they have the tools to push themselves further. He understands that everyone learns differently, and is accommodating to each student in a way that best suits them.